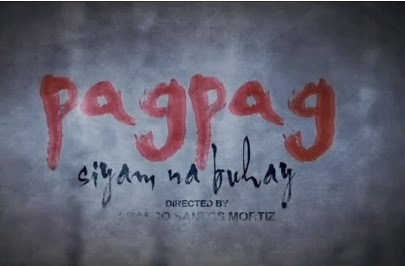 Two brand new clips for the upcoming horror film Pagpag: Siyam Na Buhay have been released. The two clips show some of the main characters from the film. In the background is the voice of a girl saying "Sino yang kasama mo? Hindi ka kasi nagpagpag." Pagpag which was directed by Frasco Santos Mortiz will be released on December 25 in cinemas nationwide. It stars Daniel Padilla, Kathryn Bernardo, Manilyn Reynes, and Paulo Avelino. Featuring young actors Daniel Padilla and Kathryn Bernardo in the lead cast, Pagpag is an official entry in the upcoming Metro Manila Film Festival which will start from December 25 to the first week of January 2014. A co-production of Skylight Films, Star Cinema and Regal Films, Pagpag was inspired by the Filipino superstitious belief of shaking off curses or evil spirits before going home after attending a wake. If you don't do the "pagpag", the belief says you'll be bringing evil spirits into your own home which might cause harm to you and your family. Also in the cast are Nikki Gil, Shaina Magdayao, Miles Ocampo, CJ Navato, Dominic Roque, Michelle Vito, Jackie Forster, Bembol Roco, and Clarence Delgado.